It’s J.J. Johnson’s Birthday! This is from J.J. Inc, one of my very favorite recordings from this fantastic musician, who left us in 2001. 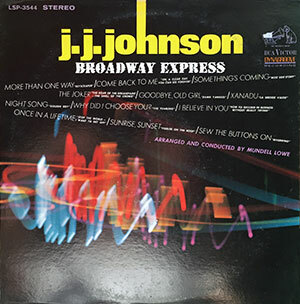 J.J. Inc was recorded in August 1960 for Columbia Records, NYC, and released on April 10, 1961. The other personnel include Clifford Jordon, Tenor Sax, Arthur Harper, Bass, Albert Heath, Drums, Cedar Walton piano, and a young and fiery Freddie Hubbard on trumpet. Today is Big Tea’s Birthday.